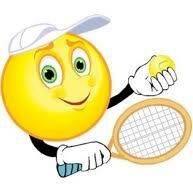 Castleknock is a great club for children to learn to play tennis. All children can take part in the Junior Coaching Program which gives them the opportunity to learn tennis and make new friends. Children begin by playing a scaled down version of tennis, called Tennis10s. Using games is a key element and the main goal is having fun. The game is divided into three colour-coded stages: Red, Orange and Green.